My first RTS. Very cool game, although I don't miss building foundations for buildings. 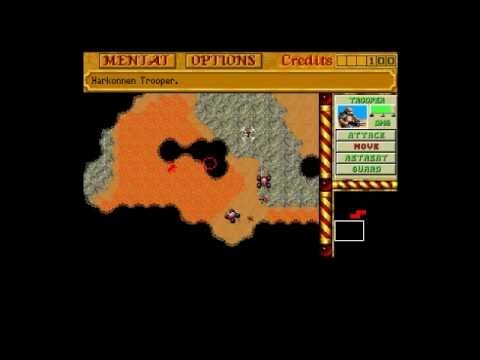 After installing Workbench 3.1 on an WinUAE emulated HD, and got a WHDLoad launched version of Dune II up and running, I played the first two missions. Lots of clicking. Argh, F10 exits WHDLoad. I wanted to go to the menu and save... Dammit. Starting again, the game froze up. That never happened back on my A1200.